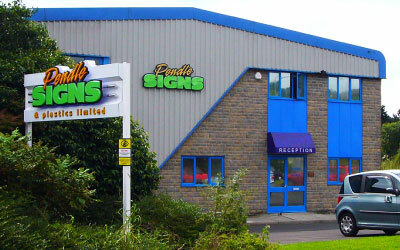 Getting your artwork in the correct format, resolution and colour mode is key to producing wonderful signage. Heres how to do it! PDF creation tools are also available that will allow you to make a PDF from the most commonly used commercial & home/office programmes. Adobe Distiller is the most commonly used programme which comes packaged with Acrobat, however there are also many freeware applications that work to great effect, including Primo PDF, and CutePDF. Helpful Instructions on creating "print ready PDFs" can be found via Google as can numerous tutorials on creating other various files you may require. If in doubt, just ask us! To ensure your files print clearly all artwork including images must be supplied at a resolution of at least 300dpi. We can work with artwork files that are lower resolution than this, However anything lower than this may result in blurry, bitmapped or pixelated print. Please Note: images saved off of the Internet are 72dpi and although they look fine on screen they are not suitable for full colour printing, especially at larger scales. CMYK (Cyan, Magenta, Yellow and Black) is an industry-standard formula designed to give the most precise colour reproductions. Artwork received using Pantone, Spot or RGB (commonly Web colours) will be converted into CMYK format, this may cause some colours to change. Our CMYK Print Workflow uses technology not commonly available to home/office printers or monitors and is calibrated and maintained to a recognised industry standard. As such your printer or screen should only be used as a guide and not to accurately proof a colour. Due to the vast number of different fonts, and varying names for all the different fonts, we prefer all fonts used to be embedded or converted to outilines before sending us the final artwork. Failure to do this could result in an alternative style being used automatically. Converting all text to outlines is a failsafe method of ensuring your text and type prints as intended.